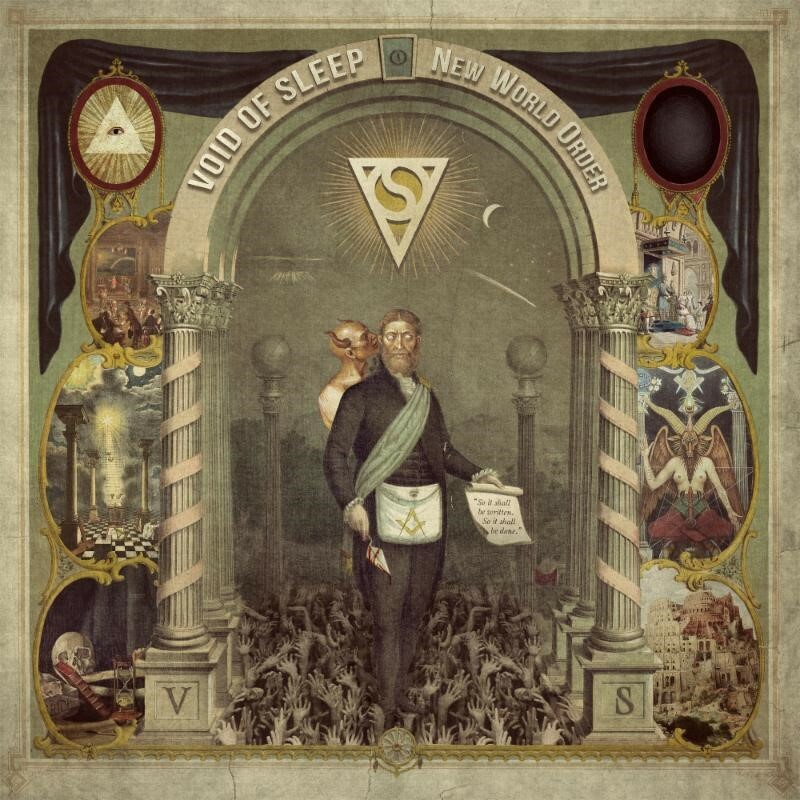 Italian progressive occult metal visionaries, VOID OF SLEEP, will release their sophomore full-length next month via Aural Music. Titled, New World Order, the seven track concept album and follow-up to 2013’s acclaimed Tales Between Reality And Madness long player was captured by bassist Riccardo Pasini (Ephel Duath, The Secret) at Studio73 in Ravenna, Italy and mastered by Collin Jordan (Eyehategod, Indian, Wovenhand, Voivod etc.) at The Boiler Room in Chicago, Illinois. Forged in Ravenna, Italy, VOID OF SLEEP – guitarist Gale, vocalist/guitarist Burdo, drummer Allo and bassist Paso – conjure a cosmic amalgam of stoned out, progressive sludge rock where epic rhythms melt into bottom heavy doom breakdowns, complex time signatures and psychedelia. Following a three-song promo EP, Giants & Killers, which garnered the attention of Italian imprint, Aural Music, the band released their full-length debut, Tales Between Reality And Madness. Crowned, “adventurous, intelligent and refreshingly addictive,” by Teeth Of The Divine, and an, “underground gem worth discovering,” by Metal Underground, the record proved wholly engrossing both sonically and thematically with lyrics exploring the darkest corners of the human psyche, oneiric visions and lysergic nightmares. With New World Order, VOID OF SLEEP continues their multi-faceted, audio journey towards oblivion. VOID OF SLEEP‘s New World Order will be available via Aural Music on CD in Europe on October 16th and in North America on November 13th. The record will be available digitally worldwide on October 18th with vinyl available in the New Year. Preorders to be available soon.